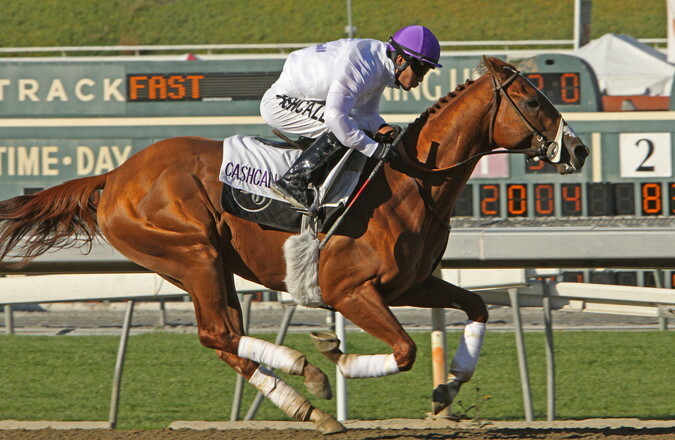 The Breeders’ Cup Classic is the feature race of a two day meeting held in the first weekend in November each year. Like many things from the USA it isn’t very old, first established in 1982, but is already regarded as one of the most high profile international meetings there is. A huge part of the prestige that surrounds this event is down to the prize money on offer, over $30M across the two days and over $6M for the Classic winner alone. There are 14 races to be enjoyed over the weekend, 12 of which are Grade 1. The Breeders’ Cup moves around different venues and this year it will be held in Santa Anita Park in California, this course set the attendance record in 2016 with 118,500 spectators over Friday and Saturday. As always we have done all the homework for you and collated any deal worth knowing about from the best online bookmakers. With the flat season over in the UK and the jump season yet to get going the Breeders’ Cup offers a great betting opportunity at an otherwise slow time for high profile racing. Despite sounding as though it’s a one-off event, the Breeders’ Cup is actually a series of Grade 1 races that are run in the United States over 2 days, usually in November. Open to thoroughbreds of varying ages depending on the race, it is operated by Breeders’ Cup Limited, which is a company that was founded back in 1982. Two years after the company was formed and the event took place for the first time, remaining as a 1-day event until 2007 when the 2nd day was added. 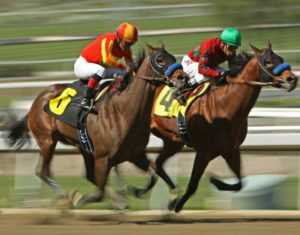 Unlike many horse racing events, which tend to remain at one location unless it cannot be used for some reason, the Breeders’ Cup tends to move from venue to venue. The number of people who can show up to watch it therefore depends entirely on the size of the location each year. 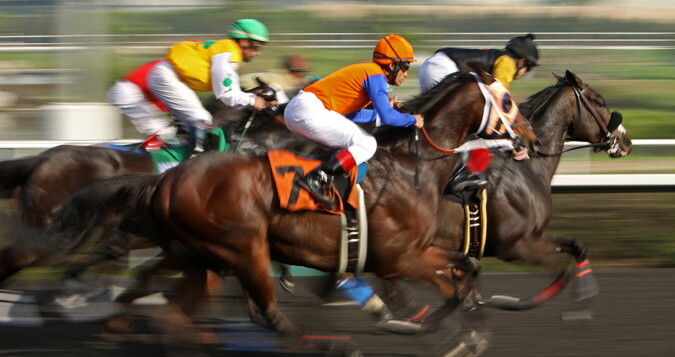 Indeed, it’s usually the fourth most attended event in American horse racing, with only the Kentucky Derby, the Preakness Stakes and the Kentucky Oaks achieving larger audiences. You’ll find out why so many people love it on this page. 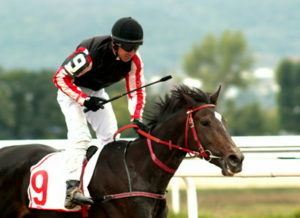 First run in 2007, this race is for 2-year-old fillies and takes place over 1 mile. It was made a Grade 1 race in 2011 and the the Win and You’re In races that get an automatic starting berth in it are the Juvenile Turf Stakes of Ireland, Kentucky’s Bourbon Stake, the Summer Stakes in Toronto, the Prix Jean-Luc Lagardere at Longchamp Racecourse in Paris and Newmarket’s Royal Lodge Stakes. Despite the Juvenile Turf only being for fillies, this race was created in 2008 and follows a similar footing. It’s for 2-year-old fillies, raced over 1 mile and became a Grade 1 offering in 2012. The Win and You’re In races include the Prix Marcel Boussac, the Natalma Stakes and Newmarket’s Rockfel Stakes. Run as an undercard race until 2018 when it was fully incorporated into the event, this is also for 2-year-olds and horses can qualify for it by winning the Belmont Futurity Stakes, Ascot’s the Norfolk Stakes and Keeneland’s Indian summer Stakes, amongst others. Raced on first and open to 3-year-olds, the tracks used for this one isn’t always a mile in length and so adjustments are made to it to handle the race. There are 12 starting berths available, with just 2 given over to Win and You’re In races. These are the Pat O’Brien Stakes and the Metropolitan Handicap, run at Del Mar Racecourse and Belmont Park respectively. Not to be confused with the Filly & Mare Turf, this is open to fillies and mares that are 3 or over. It’s raced over seven furlongs and 3 of the 14 starting places are given over to Win and You’re In victors. These are the winners of the Ballerina Stakes, the Thoroughbred Club of America Stakes and the Princess Rooney Handicap. The ‘grown up’ version of the juvenile race that takes place on the Friday of the meeting, this is run over either 5 or 6 furlongs depending on the racecourse that happens to be hosting the event that year. It’s run on a weight-for-age basis and is for 3-year-olds. Winners of the likes of the Nunthorpe Stakes, the Jaipur Invitational and Japan’s Sprinters Stakes gain starting places thanks to the Win and You’re In system. Taking place over 1 mile, as the name suggests, and open to 3-year-olds and over, this race takes place on turf and was first run back in 1984. It’s a weight-for-age offering with a purse of $2 million, meaning that its one of the richest of the races run during the Breeders’ Cup. 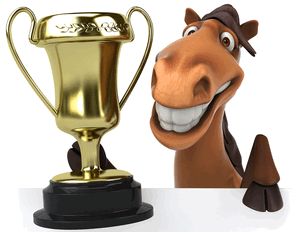 Up to 10 of the starting places go to winners of other races on the Win and You’re In qualification system, including Goodwood’s Sussex Stakes, Ascot’s Queen Anne Stakes and Tokyo Racecourse’s Yasuda Kinen. The headline race of the weekend is the Breeders’ Cup Classic, which has been around since the entire meeting was established in 1984. It is thought to be the US’s elite race for thoroughbred horses, with only three major flat races offering a higher purse. They are the Dubai World Cup. The Pegasus World Cup and the Prix de l’Arc de Triomphe, though many in the industry think that this race has the edge on the others as it’s hard to predict who will win and therefore more exciting to watch. This is the race that a horse needs to win after completing the Triple Crown if they’re hoping to lift the Grand Slam of Thoroughbred Racing. Sunday Silence nearly did exactly that in 1989, but as it only won two of the Triple Crown races it missed out. Run left-handed on a dirt course, it’s for horses aged 3 and over. There’s a weight allowance in the race, with fillies and mares getting a 3 pound allowance more than other participants. One of the biggest reasons the Breeders’ Cup has attained such prestige in such a short period of time is hugely helped by the staggering prize money available, over $30,000,000 across the entire event. This is a primary reason why the event courts international attention and attracts the worlds best runners, riders and trainers. The prize purse for even the lowest races exceeds $1,000,000 and for the Breeders’ Cup Classic itself there is a prize pot of $6,000,000 with over $3,300,000 for the winner. Even the more minor filler races of the event carry a purse of $1,000,000, which in itself beats many of the biggest European races.. The Breeders’ Cup is interesting in the world of horse racing, if for no other reason than it’s much younger than such events tend to be. The idea for it came about after horse racing’s reputation in America was at something of a low ebb in the early 1980s, leading to the heir of one of the country’s most respected pet food chains, John R. Gaines, suggesting that a new competition might allow the industry to clean up its image. He must have been confident, given that he put his idea forward at the awards luncheon of one of the country’s most loved events, the Kentucky Derby Festival. Gaines himself both owned and bred thoroughbred racehorses, but his involved in this new venture wasn’t enough to persuade the rest of the industry that it was worthy of respect. Queue the interest of John Nerud, a legendary horse trainer, whose involvement saw the rest of the community get on board with the idea. That idea was to create a series of races that were aimed at thoroughbred horses, which began in 1984 as a 1 day event and carried on that way for 22 years. The man responsible for the shift of the Breeders’ Cup from a 1-day event to one that takes place over 2 days was Greg Avioli, who was made interim CEO of Breeders’ Cup Limited and decided that one of the best ways to ensure the event continued to grow was to take advantage of the number of European horses and jockeys who enjoyed taking part in the event. He began to ask around to see how many people would be interested in just that, finding many who were keen. In 2007 he was appointed as the CEO on a permanent basis, adding a 2nd day to proceedings and seeing the event grow in stature as a result. One of Avioli’s fist ideas as CEO was to make one of the days exclusively for female horses. 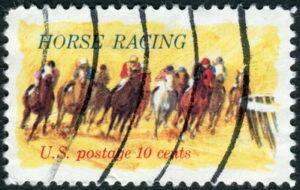 He also ensured that the prize fund was increased to $25 million over the course of the 2 days, with the overall amount of money involved seeing the New York Post referring to it as ‘the richest turf festival in the world’; a headline that didn’t make a huge heap of sense when you realise that organisers had the races take place on an artificial surface. One sure-fire way of ensuring an event gains popularity is to have certain traditions built into its fabric. This is especially true in America, given that the country has such little history compared to European countries and therefore required people to be inventive from time-to-time. Early on in its life the Breeders’ Cup replaced the yellow saddle towels that had been used in the competition’s first year with purple ones, keeping them as traditional even when North American racing in general began to use a colour-coded system. The purple saddle towels remained in place until 2009, when the Breeders’ Cup finally began using the colour-coded system. The change of towels wasn’t the only break in tradition that the organisers allowed to happen in the pursuit of increased popularity. Having avoided being televised for practically its entire existence, the Breeders’ Cup made a deal with the horse racing network TVG after it had been bought by the online bookmaker Betfair in January 2009. The bookie gained the right to simulcast and licence the races, meaning that an additional 2.5 million people began to watch and bet on the races for the first time. The addition of the television cameras meant that the Breeders’ Cup began to be noticed much further afield than just North America. The other major change to take place in 2009 was the addition of a qualifying system known as ‘Win and You’re In’. That stated that the victors in certain races elsewhere in the world would gain automatic entry in to specific races at the Breeders’ Cup. Whilst it had already been a reasonably popular even with thoroughbred owners from around Europe, it suddenly meant that trainers from the likes of Hong Kong, Australia and Japan suddenly started to enter horses into the races. The result was a huge change in profits for the Breeders’ Cup Limited, thanks in no small part to their take of the $200 million placed on bets. A new CEO of Breeders’ Cup Limited named Craig R. Fravel was appointed in 2011 and he immediately set about trying to freshen things up for the event. His first decision wasn’t a popular one, adding a Juvenile Sprint to the lineup of races. In fact, it was such an unpopular decision that he backed down and dropped it the following year. He faced a similar backlash when he followed in the footsteps of European racing and banned an anti-bleeding medication called furosemide. Horsemen and handicappers both complained and so that ban also went the way of the Juvenile Sprint and was dropped. The meeting continued to develop in spite of Fravel’s rough start as CEO and President, maintaining the unwritten rule of shifting venues. It was always hosted by an American racecourse, with the exception of in 1996 when it went to Woodbine Racetrack in Canada, and from 2008 until 2014 it alternated between Churchill Downs and Santa Anita Park. That all changed in 2015 when it was hosted by Kentucky’s Keeneland Racecourse. There was a concern that it might not be large enough to host the Breeders’ Cup, but the concern proved to be unfounded. It was just as well that the venue was indeed large enough to cope with an influx of horse racing fans, when you consider that interest in the Breeders’ Cup shot up when American Pharaoh won the Triple Crown ahead of the meeting. No horse had managed to achieve that since the Breeders’ Cup had been created, meaning that none had won the so called ‘Grand Slam of Thoroughbred Racing’, which was the Triple Crown and the Breeders’ Cup Classic. The meeting’s organisers were delighted when American Pharaoh did just that, solidifying the event’s place as one of the great American meetings. The Breeders’ Cup takes place at different racecourses throughout North America, beginning life in 1984 at Hollywood Park and then moving to the Aqueduct the following year before shifting around the likes of Santa Anita Park, Churchill Downs and Gulfstream Park in the years that followed. Given that Churchill Downs and Santa Anita Park alternated hosting the event between 2008 and 2014, it’s fair to say that the two venues have hosted the Breeders’ Cup more than any other. There have been a number of venues that have hosted the event just once, such as Woodbine in Canada in 1996. Generally speaking, though, racecourse tend to host the meeting numerous times. Using Santa Anita Park as the example racecourse, it is based in Arcadia, California and boasts the San Gabriel Mountains as a backdrop. Originally part of Rancho Santa Anita, it became synonymous with horse racing when breeder and owner Lucky Baldwin bought it and built a racetrack adjacent to the current location in 1904. It boasts a 1-mile dirt track that runs around a turf course, meaning that it offers exactly what the organisers of the Breeders’ Cup need in terms of a venue, which is probably why it’s been used to host the event more than any other course.